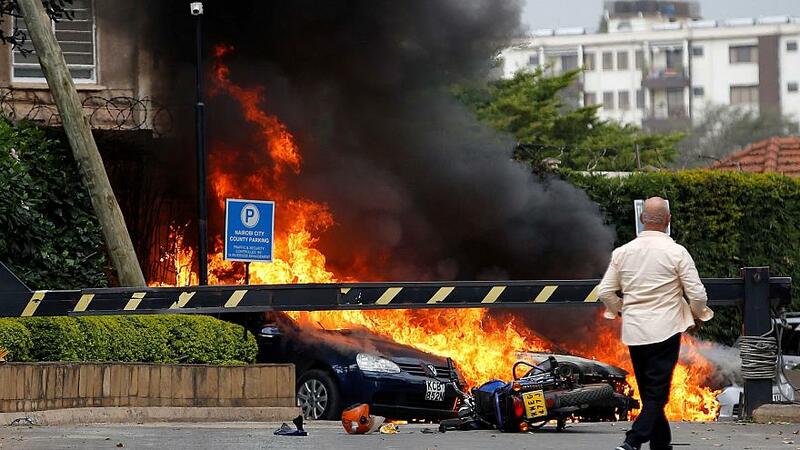 NAIROBI, Kenya — A blast and heavy gunfire sent workers fleeing for their lives at an upscale hotel and office complex in Kenya’s capital on Tuesday. “We are under attack,” one person in an office inside the complex told Reuters, before hanging up. The Associated Press quoted police at the scene as describing the incident as a terrorist attack. Nairobi’s Westgate Mall was attacked in 2013, when al-Shabab extremists burst into the luxury shopping center, hurling grenades and starting a days-long siege that left 67 people dead.